IT’S not just the Maroons' players Paul Gallen doesn’t like. It seems it’s the whole state after Gallen gave his final press conference before his last match for NSW on Wednesday night. 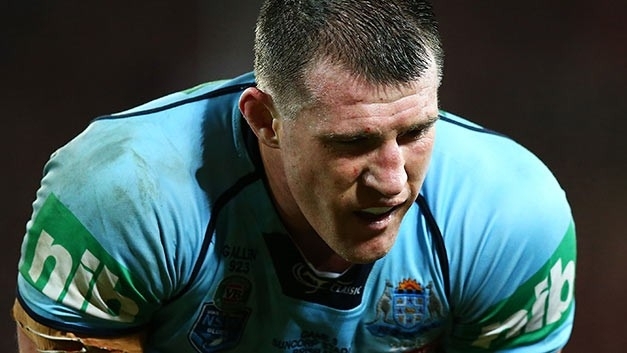 Gallen has plenty of reasons to hold ire for the Queensland team, as they have consigned him to 10 losing State of Origin series in 11 years. But Gallen took the chance to have a pot shot at all Queenslanders today, calling them ‘bad winners’ and then stipulating it was the people of the State rather than the players. “I’ll say one thing about Queenslanders, I think they’re bad winners to be honest with you,” said Gallen. “When you win 10 of 11 series or whatever it is you probably can afford to be. “That’s not so much the players, I’m talking about the people up there in general to be honest with you. While he may have been joking, Gallen also bristled at suggestions Queenslanders would like him if he was a Maroon. “II find that an insult,” he said. “I remember I’ve had a couple of drinks with Justin Hodges on Australian tours and he’s said the same thing to me. It’s like, ‘oh mate leave me alone’.